Performance optimizations are ongoing, but we've already made great progress in the past few weeks. Adam and Roby were able to reduce memory overhead and loads times by a huge margin. Many of these optimizations were achieved by how data is packaged in our builds and loaded in when the game loads. Today, backers who are in the Backer Beta will notice that we have a Mac build available for download and testing. We are continuing work on the Linux build, but are still trying to resolve some resource management issues. 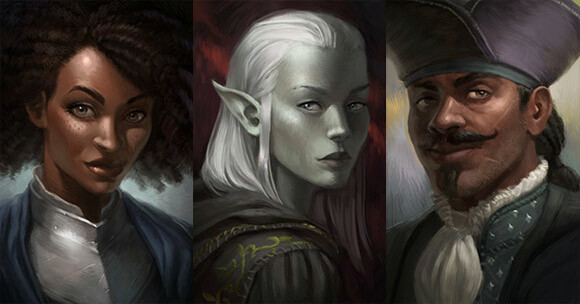 We also have some new portraits for Ocean Folk and Pale Elf characters. More are still coming! That's all for this week. Let us know your thoughts on our forums. As always, thank you for your continued support.